Many organizations apply the notion of employee welfare programs as a strategy of improving employee productivity, since work-related exertions could lead to deprived quality of work life for employees and a decline in performance. Welfare schemes promote economic development by increasing the efficiency and productivity with the underlying principle being making workers bestow their loyal services ungrudgingly in genuine spirit of cooperation. The welfare schemes improve the organizational relations and also enhance the productivity of the employees. The main aim of implementing the welfare measures in any organization is to secure the labor force by providing proper working conditions and minimizing its hazardous effect on the life of the employees and their family members. 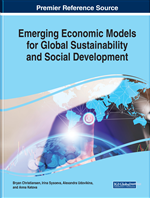 The chapter articulates the various employee welfare programs put into practice by the industrial and service organizations and its influence on the employees' economic growth and productivity, in both public and private sectors. The concept of employee welfare deals with all activities that the employers are involved in which are directed towards providing employees with certain facilities and services in addition to salaries and wages (Tweddle, Battle, & Torjman, 2013). These welfare facilities are essential for the organisations growth as they have a close association with the employees’ productivity. Employee welfare schemes increases the organizational productivity, promotes motivation, promotes healthy organizational relations, maintain organizational peace and reduces labour turnover. Welfare programmes serve as a means for employee motivation and increases not only the effectiveness of the workforce but also creativity in solving unique organizational challenges. This will eventually lead to attainment of higher levels of economic performance and high service delivery in an organization (Lagat, 2012). In today’s competitive economy, business organizations need to focus explicitly on providing the welfare facilities to the employees as it results in their satisfaction towards the organisation and it results in improved quality of work life (Patro, 2012). Employees are a valuable resource that may contribute in several different ways to an organization’s activities if the organization gives them an appropriate chance. Welfare programme is a globally broad concept referring to a state of living of an individual or a group, in a desirable relationship with the total environment - ecological, economic and social. Employee welfare includes both social and economic content of welfare. Social welfare is primarily concerned with the solution of various problems of the weaker section of society like prevention of destitution and poverty. It aims at social development by such means as social legislation, social reforms, social service, social work or social action (Luthans and Sommer, 2005). Employee welfare is considered one of the corporate commitments to demonstrate care for employees at all levels, underpinning their work and the environment in which it is performed (Srinivas, 2013). Employees are directly influenced by nature and quality of welfare services offered because they compare themselves with their counterparts in other organizations. Organizations should, therefore, bear in mind that for them to achieve their objectives, employee welfare services should be adequately competitive and focused towards solving real needs of employees. Most of the private organisations rarely provide overall competitive packages of employee welfare benefits, which results in low productivity, retention and may eventually lead to high rate of employee turnover (PWC, 2013). Lack of such welfare benefits not only de-motivate employees, but also results in a high rate of employee turnover, low workplace productivity and affect the overall efficiency and performance of the non-academic staff in private universities (Ernst & Young, 2014). The success of the employees’ welfare programmes depends on the approach which the organization has considered. An organization should have a policy that guides provision of such welfare programmes to employees which include medical facilities, sanitary, accommodation of workers, amenities and industrial social security measures, training and education facilities, HIV and AIDS risk reduction and counselling (Harika, 2012). Park (2015) argues that work environment should be comprised of issues such as working hours, employment policy, workers’ health and welfare, workplace design and the general conduct of workers at the workplace. Employee welfare programmes in both developed and developing society have an impact not only on the workforce but also on the facets of human resources (Mishra & Bhagat, 2007). Welfare schemes should be implemented by all the organisations, whether public sector or private sector and industrial or service sector, as it raises the morale of employees, reduce the risk and insecurity, eliminates absenteeism, and improves the quality of living, which would go a long way in achieving the goals of an organisation. The very logic behind providing welfare schemes is to create efficient, healthy, loyal, and a satisfied labour force for the organization.